An appendectomy occurring decades prior was linked to nearly a 20% decrease in the risk of developing Parkinson’s and delayed onset among people who did develop the disease, researchers reported. Moreover, the human appendix appeared to be a reservoir for alpha-synuclein aggregates in healthy people, even at young ages, according to Viviane Labrie, PhD, of the Van Andel Research Institute in Grand Rapids, Michigan, and colleagues in a study published in Science Translational Medicine. What may distinguish a person with Parkinson’s from a healthy individual is not the presence of these aggregated clumps, but rather the ability perhaps to manage them, Labrie noted. And while the relationship between the appendix and Parkinson’s is unknown, it may be that the appendix is a source of seeding-competent aggregates of alpha-synuclein which could migrate into the central nervous system through the vagal nerve, she added. In the Swedish registry, the researchers identified 551,647 people who had an appendectomy, matching each person to two control individuals who didn’t have an appendectomy. The team also identified 2,252 patients with Parkinson’s disease in follow-up records. The incidence of Parkinson’s disease was 1.60 per 100,000 person-years among individuals who had an appendectomy (95% CI 1.46-1.75) compared with 1.98 for controls (95% CI 1.87-2.10), a decrease in risk of 19.3% (95% CI 10.4%-27.2%, P<10-4). The reduced risk was apparent only when the appendix was removed early in life. Because epidemiological studies have tied rural living to a higher risk of Parkinson’s — perhaps due to pesticide exposure — the researchers looked at rural versus urban areas of Sweden and found that rural residents with an appendectomy had an even greater decrease (25.4%, 95% CI 14.1%-35.6%, P<10-4) in Parkinson’s disease risk. In the PPMI study, the researchers compared the age of Parkinson’s onset between patients with (n=54) and without (n=795) a previous history of appendectomy and found that onset was delayed by 3.6 years (95% CI 1.03-6.13, P<0.03) in people who had an appendectomy at least 30 years before. To inspect appendix tissue, the investigators treated it with proteinase K, which digests free physiological alpha-synuclein but leaves aggregated alpha-synuclein intact. They found abundant proteinase K-resistant alpha-synuclein aggregates in the mucosa, submucosal plexuses, myenteric plexuses, and nerve fibers in 46 of 48 appendix tissues from healthy people, both young and old. The team also observed that the appendixes of both Parkinson’s patients (n=6) and healthy controls (n=8) contained abnormally cleaved and aggregated forms of alpha-synuclein, similar to those found in postmortem brain tissue from Parkinson’s patients. In light of recent research linking gut inflammation to Parkinson’s and the role of the appendix in immune surveillance, it’s possible the appendix contributes to Parkinson’s through inflammation and microbiome alterations, Labrie and colleagues noted. There are several limitations to the study, the researchers noted. They did not present data from other peripheral tissues, so it is unclear whether other GI tissues also contain aggregated alpha-synuclein. 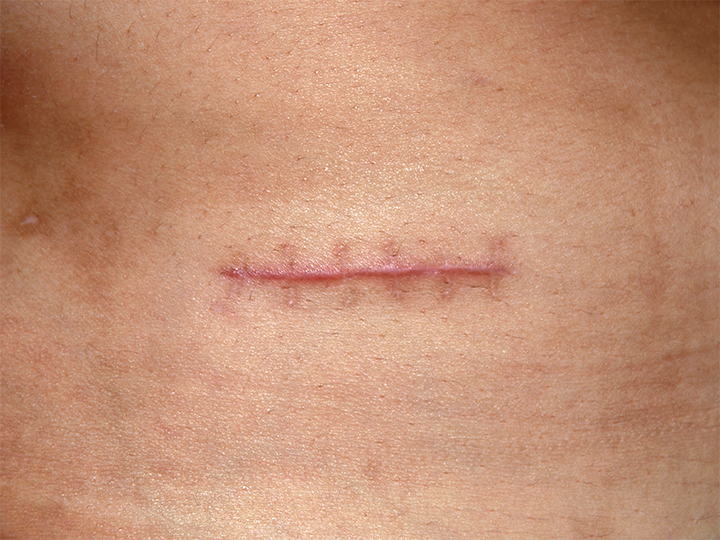 In the PPMI cohort, appendectomy surgery was based on patient recollection. The Swedish registry data also had limitations: an earlier study comparing diagnoses in the data set with clinical evaluations showed 70.8% accuracy in Parkinson’s diagnosis. The researchers were supported by grants from the Alzheimer’s Society of Canada, the Scottish Rite Charitable Foundation of Canada, the Department of Defense, Gibby & Friends vs. Parky, the National Institutes of Health, the Michael J. Fox Foundation for Parkinson’s Research, and Cure Parkinson’s Trust. The authors reported relationships with Renovo Neural, Roche, Teva, Lundbeck A/S, AbbVie, NeuroDerm, Fujifilm Cellular Dynamics, Living Cell Technologies, ClearView Healthcare, FCB Health, IOS Press Partners, Capital Technologies, Axial Biotherapeutics, and AcouSort AB.